Just after I graduated from college in Dublin, I set up house in a studio flat at the top of a ramshackle house in a tiny, one-street town called Granard, County Longford. I had just turned 20 and I had finally landed a 'real' job as a primary school teacher. In that attic flat, there was, of course, no residential telephone. It was the early 1980s, so this was way, way pre-cell phones or internet. However, I discovered that the town's mildew-y little library was open a few evenings per week. There, I met Mary, the librarian, and I discovered that she and I had almost identical reading tastes. So when certain new books came in, Mary auto-reserved them for me on a hunch that I would like them. Her hunches were never wrong. Often, as I leaned over that circulation desk chatting, the sound of my own voice startled me. For my first year in that town, except for those library visits and my stop at the town supermarket, I was completely alone--unless you count the seven and eight-year-olds in my classroom. Still, isolation (I see now) had its perks. Without a TV or a record player, with little or no social life, there was much more time for reading. And the longer and denser the library book, the better I liked it. Now I live three thousand miles away from that town where I tried and failed to launch my adult life. Nowadays, as I balance work and home and writing and a trillion digital distractions, I marvel at what a 20-year-old kid like me managed to read each week. I devoured most of the works of Heinrich Böll, the German post-World War II novelist. I read fat biographies of Maud Gonne and Agatha Christie. Short story collections. Novellas. Novels galore. I'm still an avid reader, but these days, I no longer need to borrow books that other people have read before me, where someone has left light pencil marks in the margins or cookie crumbs in the crevices. Yet, as I write this, a stack of library books sits on and beneath my night stand. Being a library patron is not about money. It's about being part of a real, flesh-and-blood community of readers. For me, it's about remembering the things and the people who were there for you during the lowest and loneliest times of your life. I believe that our public libraries might be one of our last bastions of genuine bonum publicum or public good. 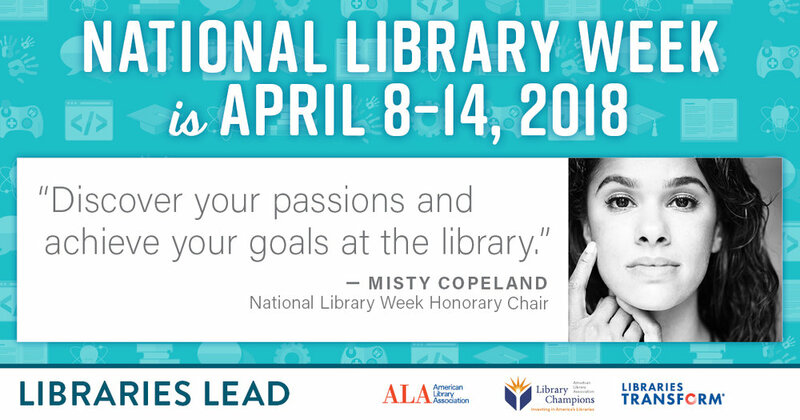 So during this year's library week 2018, let's remember and celebrate our libraries and all that they've brought to our lives. I never told my librarian friend this, but often, as I leaned over that circulation desk chatting, the sound of my own voice startled me. Except for those library visits and my stop at the town supermarket, I was completely alone--unless you count the seven and eight-year-olds in my classroom. I devoured most of the works of Heinrich Böll, the German post-World War II novelist. I read fat biographies of Maud Gonne and Agatha Christie. Short story collections. Novellas. Novels galore. I wept when I read "The Well of Loneliness," a heartbreaking and previously banned love story about an illicit and banned lesbian relationship—a topic and a lifestyle that were taboo and illegal in 1980s Ireland. But I still patronize my local library.